According to new data released by The Neilsen Company, Android has passed both Blackberry and iOS for smartphone market share among non-prepaid subscribers. 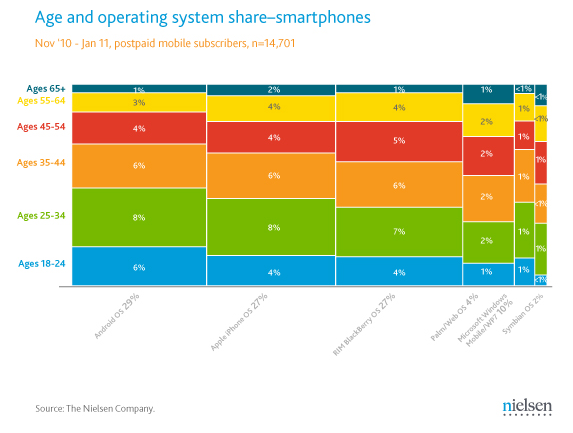 At 29%, Android is 2% of ahead of their two main rivals, which are both at 27%. The survey also examines use by device manufacturer, which of course Apple and RIM dominate (being that they, unlike Android, make their own phones). Among Android manufacturers, HTC leads the pack at 12% (oh how the EVO has treated them well), followed by Motorola at 10% and Samsung at 5%. 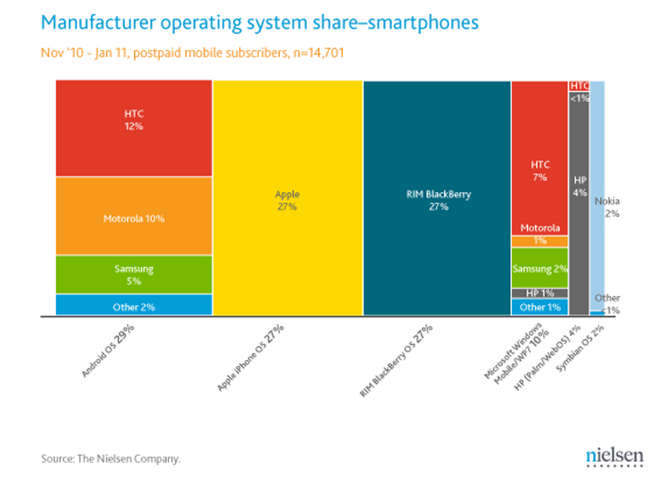 HTC also leads among Windows Mobile/Windows Phone 7 device makers. A separate graph is plotted, this one showing the average age of smartphone customers based on OS and manufacturer. You can see that Android is clearly the youngest, with 14% falling in the 18-34 age bracket. 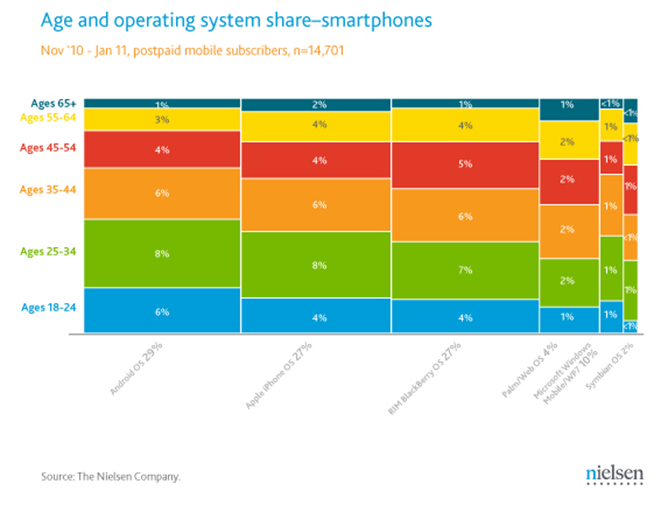 iOS has 12% in the same category, with Blackberry at 11%. Of course the survey curiously omits users younger than age 18, which one can assume would carry many more iOS and Android subscribers (I don't see too many 14-year-olds with Blackberrys).